Fast curing and resistant to weathering. Excellent adhesive properties make it suitable for use on aluminium, glass, laminates and most non-porous surfaces. 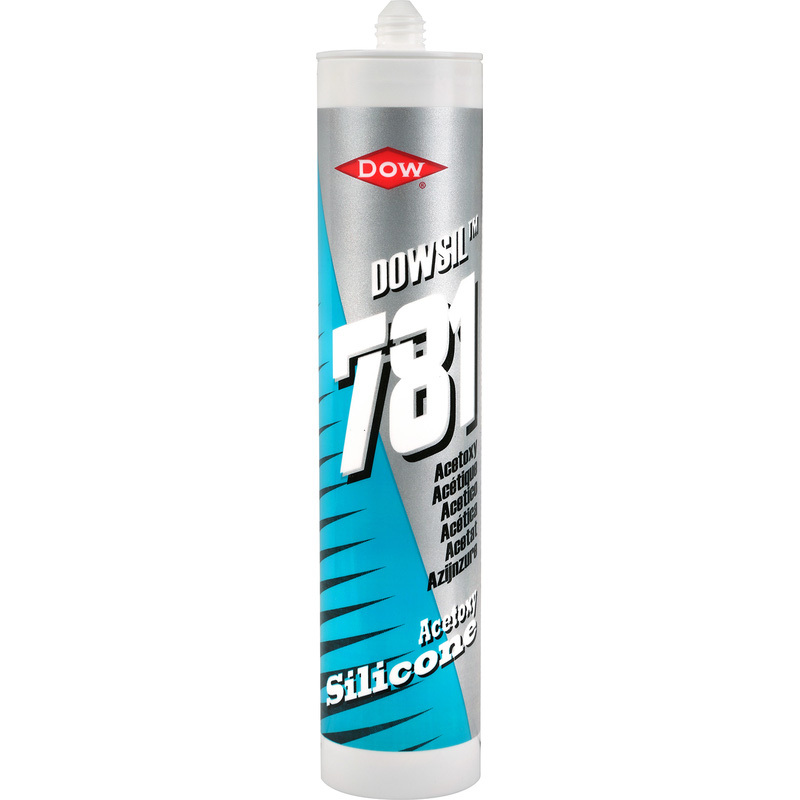 DC781 Dow Corning Acetoxy Silicone 310ml White is rated 4.9 out of 5 by 7. Rated 4 out of 5 by David27 from Good weather esistant product Fast effective easy to apply, sets relatively quickly which was good for my particular use of product outdoors beaded between rubber and steel junction. Rated 5 out of 5 by Rimbo from Features Recently purchased and used to seal windows on shed - good quality product and easy to use. Good value for money. Minor niggle - their was no cap for the nozzle which is frustrating if you plan to use same tube again. Covered it with cling film till next time I need it! Rated 5 out of 5 by Reg2 from The Dogs Fitting a shower tray or screen then use the daddy of Silicone. No hassle no leaks. Rated 5 out of 5 by HuwE from Very White This is great silicone, it's very white! Only one thing to look out for is that you don't have much time before it starts curing, well under five minutes! Rated 5 out of 5 by JamesG from 718 silicon Good consistency, easy to smooth flat round a shower tray or bath, has not gone mouldy so far and cleans up well.